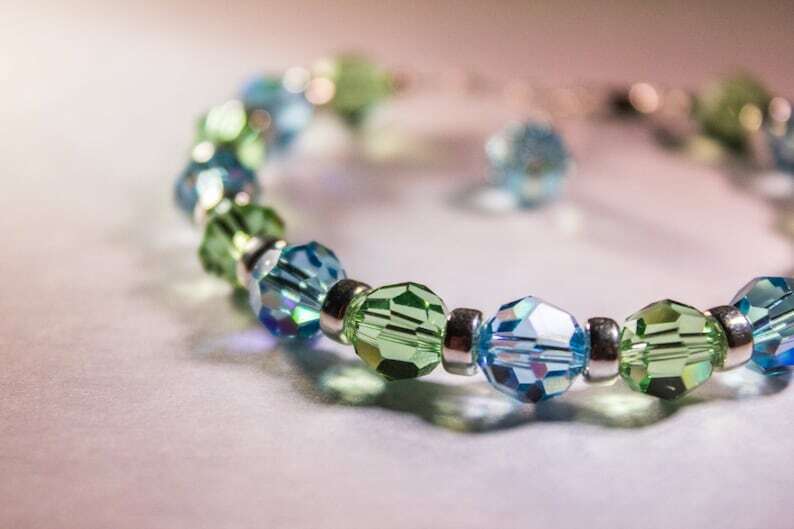 These Swarovski crystal jewels have been lovingly handcrafted and energetically cleared and infused with the blessings of Protection, Health, Healing and Agelessness to help you be safe and sound of body, mind and spirit. What a great combination! We have unlimited capacities for healing our bodies and our being. These blessings will assist you in allowing and experiencing all that is possible for you so that you may be “sound,” physically, emotionally, spiritually and mentally. The energy of these blessings will help you to be connected to the thoughts, feelings and emotions that create pain, dis-ease and illness. It will help you to allow the body to heal and be healed. We can receive as much healing as we will allow. Wearing these jewels will assist you in releasing the belief that our bodies must age. Aging is a process that we have discovered does not have to be so. This blessing will assist you in your beliefs and the possibilities for creating your own fountain of youth. This blessing will also help shield you from the energies that create negativity and resistance from your own beliefs or others. The energies of protection cover all aspects of your being; physical, mental, emotional and spiritual. in a situation where you know you may be exposed to negative energies, just ask the jewels to protect you, and know that they will conduct the energies of the angels and God for your protection.